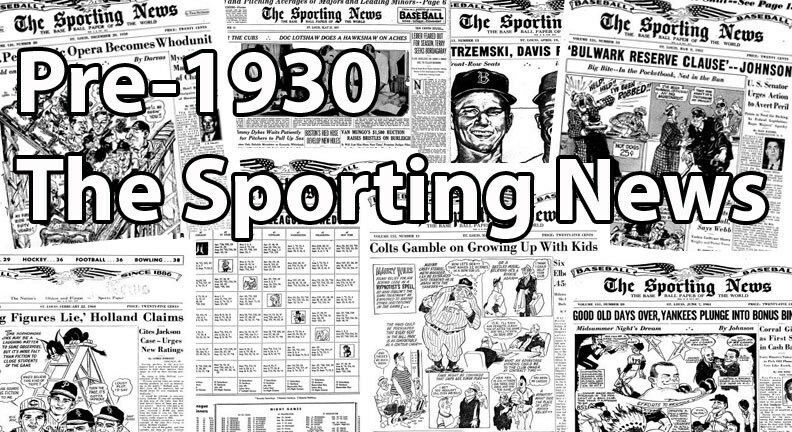 The Sporting News is the longest running periodical dedicated to sports today. It began its' long history in 1886 in St. Louis, Missouri, by editor and publisher Alfred Spink and became known as "The Bible of Baseball." It wasn't until after WWII that TSN started reporting on other sports including football, basketball, and hockey. Click here to read more about The Sporting News! CLICK HERE if you want to sell your Pre-1930 Sporting News cards.